Coloring Book artists and illustrators are starting to branch out from Adult Coloring Books filled with flowers and mandala’s to focus on featuring the hobbies and preferences of the folks coloring in their books. We have already put together a huge list of cat lovers coloring books and now we are have gathered all the coloring books we could find for dog lovers. We love supporting self-publishing artists on Etsy, many offer instant downloads of their cute coloring designs. Take a look at these! 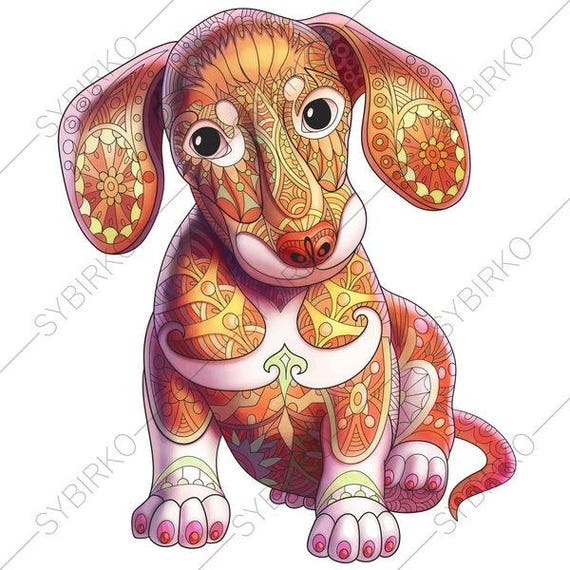 Dozens of adorable Zentangle Doodle Dog to color in. Elspeth Rose in Leeds UK is obviously a dog lover and not only has two dog coloring books but she also has dog prints collars and other fun handmade gifts for dog lovers. Take a look at her shop here. 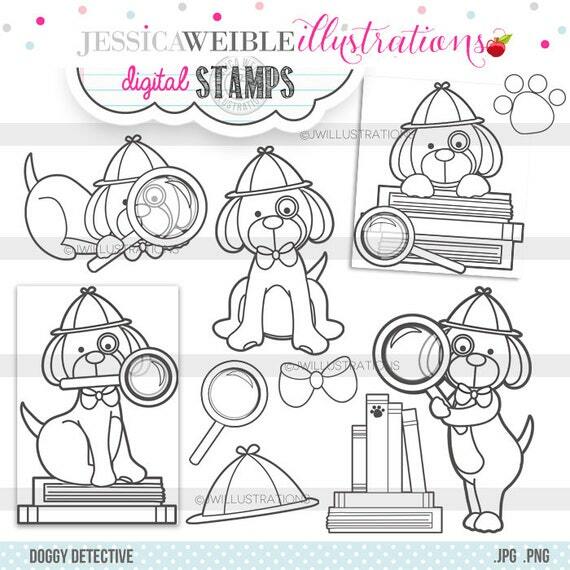 Doggie Detective Coloring page from includes the Doggy Detective digital stamp set comes with 10 cute Black and White Line Art Stamps or Coloring Images including 5 cute little dog detectives in hats and bow ties, a detective hat, a spyglass, a bow, a stack of books & a paw print. I just received this adorable coloring book from the publisher. It follows the adventures of the King of “Pup” Culture through a tasting feast across the world. From pizza in New York, sausages in Germany and margarita’s in Mexico with friends, you get to travel with this pug and color in his fun. This book also has word search puzzles, crossword puzzles, mazes and more. This happy pup also has books, calendars, and plush stuffies to bring your coloring adventures to live. One-Sided Perforated Pictures of detailed cats and dogs in adorable settings in another one of Marjorie’s animal coloring books. I’m absolutely in love with the lab looking dog on the front cover. 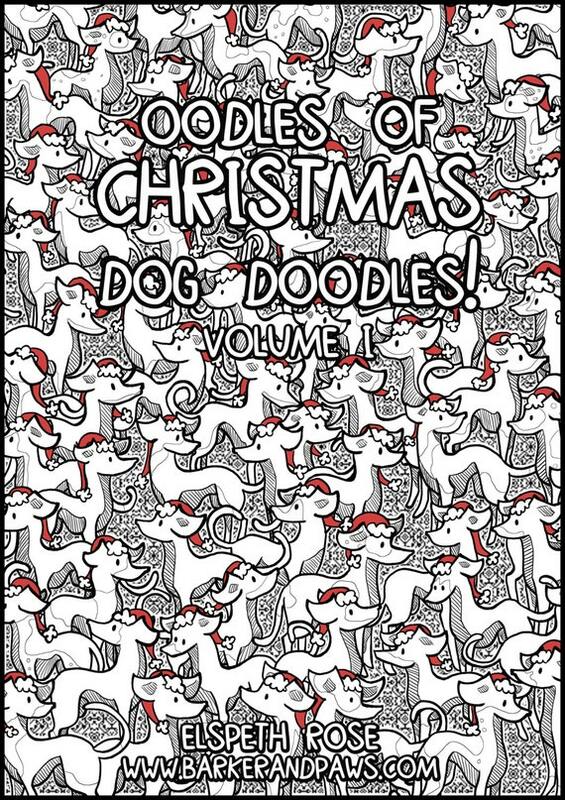 Brenda Abdoyan’s whimsical style really captures the personality of the pooches she has in this 32 page one-sided professionally published coloring book. Design Originals always does a fabulous job with printing and this book is no exception. I have copies of Cindy’s horse lover books and she does really nice work. Some of the breeds included in this book are pit bulls, boxers, beagles, pharaoh hounds, Great Danes, Chihuahuas, and Rhodesian Ridgebacks. All pages are printed on one side only. “Love Dogs! Coloring Book for Adults (vol 1)” by Alisann Smookler. I was first directed to this book because of a wonderful image of a pitbull that an artist in one of the Coloring Facebook pages did featured here! I also love the lab page and you can see a sample of it on the Amazon Reviews for this book. From the Same author “Love Pupplies Coloring Book” by Alisann Smookler. These stained glass images of 16 of the American Kennel Club’s top dogs encompass a winning array of beloved breeds, including the sporting, hound, toy, and terrier groups. Pages are perforated for easy removal, so after coloring, they can be placed near a light source for glowing effects. Source: Amazon. This is a Dover book so you know the value is there for you with this one. Another book by John Green, we always check the reviews before recommending any book on Clumsy Doodle but haven’t EVER seen one with3 4- 5 star reviews and none under that number. It contains Forty-two popular dogs — collie, poodle, dachshund, others — beautifully rendered. Captions, glossary, and brief history offer facts about womans best friend. 40 black-and-white illustrations. Color illustrations on covers with an Introduction and captions by Soren Robertson. There are quite a few more Dog Coloring Books on Amazon but most of them had pretty bad reviews so we didn’t feature any but we are sure there will be more dog coloring books appearing so check this link to see the latest. AMAZON PRIME – If you aren’t a member you should look into it. You get free 2-day shipping every day at Amazon with Amazon Prime. You can try it for free right now. The Amazon Prime membership program offers other special benefits for just $99 per year. Members can instantly watch over 40,000 movies and TV episodes and borrow 1000’s of books from the Kindle Owners’ Lending Library.